This TIPC Long Read takes an in-depth look into the work of the Consortium in Mexico, in collaboration with CONACYT and the British Council in Mexico. Positioned between the Pacific Ocean and the Atlantic Ocean, Mexico has several miles of coast within its borders, making its fishery industry an important element of the country’s economy. In the case of the Yucatan Peninsula, at the edge of the Caribbean Sea, the communities living along its coasts are especially reliant on fisheries. Fishing has been a core element of the economy and culture, practiced by pre-columbine populations thousands of years ago, including many different types of fishes and molluscs, like groupers, red snappers (bargos), lobsters, sea cucumbers and octopuses. Octopus is especially important for the Yucatan Peninsula because of the existence of an endemic species with high added value on the market: The Red Octopus, also called Mayan Octopus. This species has been one of the key factors for the growth of Yucatan’s fishery industry since the 80s and 90s, leading to higher levels of production volumes, market shares and exportations. Mayan Octopus industry contributed to the internationalisation of Yucatan fishery products and to some improvements in local community wealth. An interesting feature of this industry is that both the fishing gears and product processing practices are quite traditional and far from technical sophistication, although they involve a lot of indigenous knowledge, especially held by the fishermen. However, Mayan Octopus fishery is far from being a reliant and sustainable industry. Since the industry’s rise in the 50s and 60s, it has been affected by unpredictable environmental phenomena such as hurricanes and naturally polluting ‘red tides’. These natural constraints have increased in recent times due to the consequences of Climate Change, making natural disasters and their damages even more unpredictable, frequent and intense. We should add to this the increasing overexploitation of the fishery resource through human activity: the lack of (compliance of) regulation, the spread of ‘bad practices’ driven by economic profit, and the overpopulation of coastal areas due to exogenous factors is now seriously threatening the viability of the Octopus fishery industry and (according to some studies) even the very survival of the species. How can innovation address a multi-faceted global-local challenge like this? Science, Technology and Innovation (STI) in Mexico and Yucatan has paid attention to Octopus fishery since several decades ago. However, the majority of efforts concentrated on analysing the biology of the local species and the ecological characteristics of the population. Some of the most recent studies even tried to discover whether some of the Mayan Octopus resources (like its saliva) can help to develop effective drugs for treating specific human diseases. 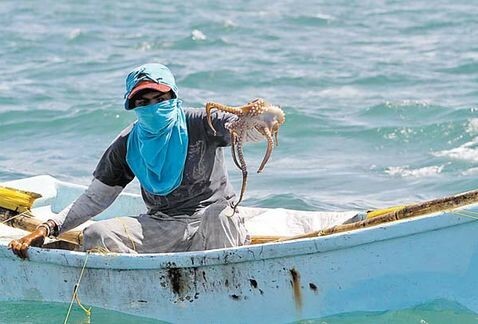 Despite these interesting efforts for purposes of basic and applied research that sometimes achieve ‘excellent’ results like journal articles or international patents, they fall short of tackling the complex challenges that Octopus fishery in Yucatan is facing. 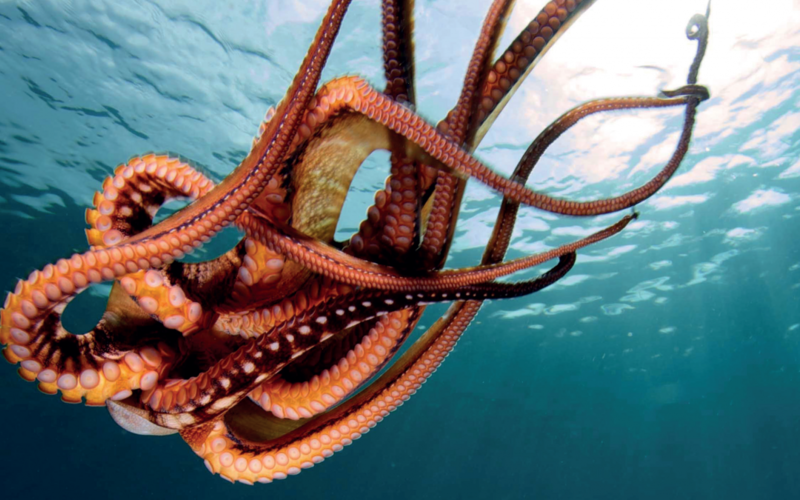 The Consortium has been exploring some recent STI initiatives in the Yacutan Mayan Octopus industry that have been undertaken during the last 15 years. Their innovativeness is the following: instead of relying on producing new scientific knowledge, improving existing regulation, or supporting exportation through new technical or commercial standards, these actions treated the socioeconomical and environmental sustainability of the Mayan Octopus industry as a complex issue requiring radical system transformation and broader participation outside the traditional channels for policymaking between Government and Industry, or Government and University. Although when taken individually these actions fall short of transforming the socio-technical system of fishery toward a sustainability transition, taken altogether they may have some transformative potential. We identified three STI-based actions aiming to create a radical system transformation by moving away from the current (unsustainable) regime based on massive exploitation, inequity between fishermen and processing/export companies, and high dependence on foreign markets and unpredictable natural disasters. These three STI actions have the following element in common: they propose an alternative pathway for the development of the fishery industry based on sustainability, and all of three focus on Mayan Octopus as a strategic resource to leverage change. A Competitiveness Reinforcement Initiative (CRI) launched in early 2017 by the Development Agency of the State of Yucatan (ADY) in collaboration with the National Institute for Entrepreneurship (INADEM) ended up in creating a stable platform of stakeholders working on improving the Octopus value chain, combining sustainability with industry competitiveness goals. This initiative permitted the creation of a skilful and proactive team of workers within the Agency which acted as a hub for a stakeholder network formed by industry association, processing/export companies, fishermen cooperatives and representatives, research institutes, universities and schools, as well as other public corporations. Through both technical training and participatory trails of discussion, this network eventually generated a critique diagnostic of the unsustainability of the current regime and a strategy for supporting a change pathway for the Mayan Octopus fishery industry based on combining sustainability and competitiveness. This strategy aims for diversification, addressing healthy, organic and local market niches with a reduced production volume but able to achieve higher levels of added value. Despite several limitations around the capacity to include and give a proper voice to all relevant stakeholders (e.g. fishermen are a problematic collective in this sense), this action broadened the usual network of policymaking, to collectively reflect on the current practices and to learn through specific educational activities aiming to increase technical and critical capacity of stakeholders. The CRI led to a ‘second stage’ where the involvement of the CONACYT Mixed Funds programme has been key. Originally conceived as a means to build and strengthen the scientific infrastructure in Mexican regions, the Mixed Funds programme funded individual research projects, in order to generate a wide range of scientific and technical outcomes such as publications, patents, new ventures and products, etc. A recent shift (during the last 5 years) in the programme implementation facilitated its application to complex local problems, trying to deliver more ‘systemic’ solutions. Following the CRI on Mayan Octopus fishery industry, CONACYT funded in early 2018 a proposal by ADY and CIATEJ (a public research centre) to give concretion to the alternative strategy outlined above. The proposal included launching a laboratory for developing new products based on Mayan Octopus and experimenting with their commercial potential, in close collaboration with a small set of processing companies. This programme has been launched very recently and aims to create alternative products for addressing different market niches, in order to transform the current value chain toward a more sustainable path, as well as creating new relationships with local and healthy-organic markets in Yucatan and Mexico, involving chefs, restaurants, supermarkets, consumers associations, etc. As mentioned above, a missing voice in this emerging strategy may be the fishermen and local communities. This group are affected more frequently and intensely by the negative consequences of the current regime’s unsustainability but – at the same time – they seem to have less power for negotiating alternatives. It is not completely clear whether local alternatives that are beneficial for fishermen have been developed yet. One exception in this sense refers to Octopus farming experimentation. 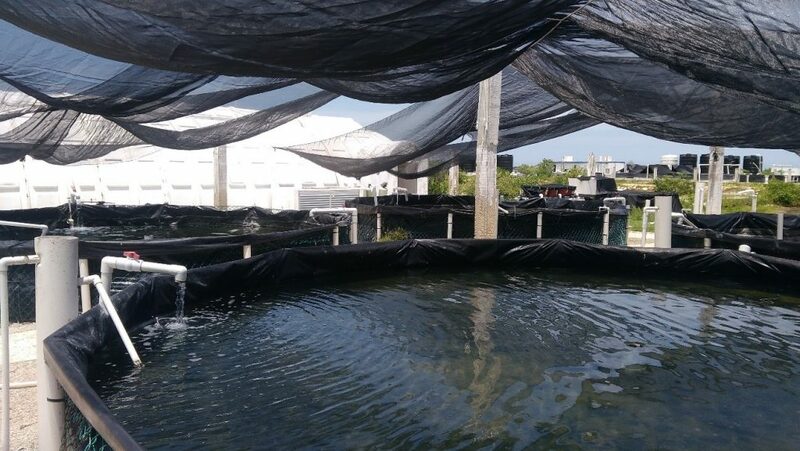 In the coastal town of Sisal (Yucatan), the Multidisciplinary Teaching and Research Unit (UMDI) of the National Autonomous University of Mexico (UNAM) has been experimenting with alternatives to the current fishery regime for almost 15 years. Starting from the study of the Mayan Octopus ecology and the cultural anthropology of the fishermen community, a small team of researchers have been working on a decentralised system of Mayan Octopus farming run by fishermen’s wives in their own houses, who formed a cooperative company. The technical improvements achieved by UMDI-UNAM researchers thanks to scientific and technological advances complemented the practical knowledge developed by a small set of housewives about feeding, preparing and commercialising ‘farmed’ Mayan octopus. The commercialisation of the product is currently taking a similar pathway toward local-organic market niches instead of massive production. However, the viability of Mayan Octopus farming on a larger scale is still an open issue due to current technical bottlenecks and some resistance from the local fishermen community about moving away from a ‘risk-taking’ proactive activity like open sea-fishing toward a more ‘stable’ and routine activity like farming. The attempts of transforming the Mayan Octopus fishery industry are not the history of a successful case conducive to benchmark best practices. The limitations and unsustainability of the current fishery regime observed in Yucatan are quite similar to many other fishery industries across the world, especially in the Global South. This history tells us that transforming an ‘unsustainable’ socio-technical refime of fishery in local communities, where the most disadvantaged social groups have not been included, can lead to close the discussion about technology options and directions, and even ignore emerging technology niches with transformative potential such as Octopus farming. Transformative innovation often requires combining and aligning different tools and actions. Through this case study and the co-production of knowledge between SPRU researchers, TIPC Mexican partners and local stakeholders, alternative narratives and pathways for change emerged and have been brought into discussion. We hope that this discussion will follow in the next future, broadening and deepening the network of actors and learning in order to foster a positive change towards greater environmental sustainability and social equity for the fishery industry in coastal communities. The outcomes of this research proceeded from a case study performed in Mexico by TIPC. The Transformation of the Mayan Octopus Industry case was selected amongst a shortlist of 5 potential cases in March 2018 after an internal discussion and review of the available documents by SPRU researchers and CONACYT partners, following a series of interviews and a participatory workshop held in Mexico City (8-11 January 2018) that involved SPRU researchers, CONACYT and FCCYT representatives and other Mexican policymakers, researchers and stakeholders. 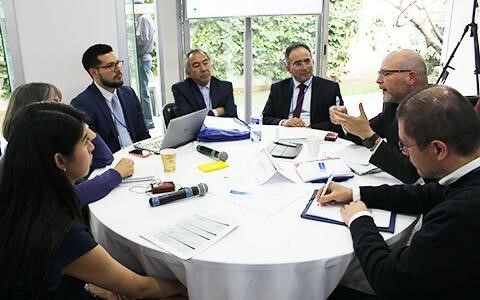 The SPRU team worked in close contact with CONACYT and FCCYT policymakers and researchers during the co-production of the case study information. 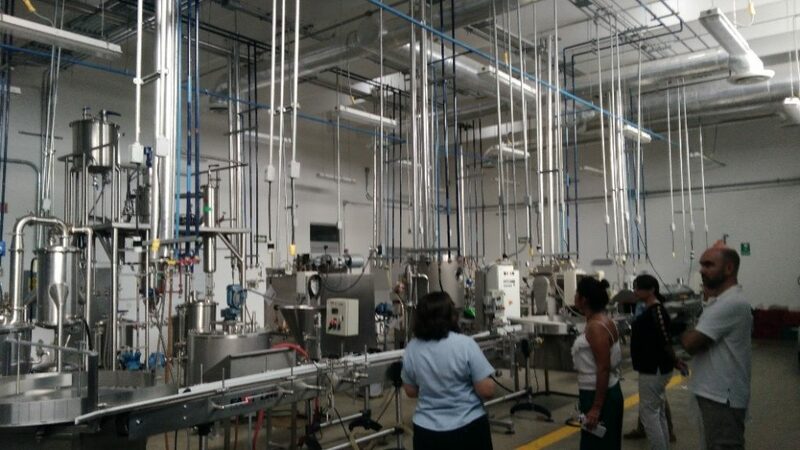 An extensive review of different types of documents was performed, as well as several one-to-one and group interviews to different local stakeholders (policymakers, researchers and industry representatives) and a visit to a processing company, the pilot transformation lab and the experimentation plant. A participatory workshop was held in Mérida (Yucatán, 24 April 2018) including representatives from CONACYT, FCCYT, the Federal and State Government, public research centres and universities, industry association and fishermen cooperatives. The main outcome of this dense work of co-producing data and relationships is a Transformative Innovation Learning History (TILH) analysing the history of the case and its transformative potential. The TILH on the Mayan Octopus Industry is available here.